AI Sony’s revamped aibo robotic dog to launch in the U.S.
Sony’s robotic pooch aibo is making a return to the U.S., with the “first litter” of aibos scheduled to be released in September, Sony announced in New York on Thursday. For those unaware, aibo is a series of robotic pets designed and manufactured by the Japanese electronics company, Sony. The first consumer model was introduced in May 1999, but was discontinued in January 2006. Already a modest hit in Japan, Sony has til now sold 20,000 units after the January release in Japan earlier this year. “The Aibo has been received very well in Japan. We want to keep the momentum when selling it in the United States,” Senior Vice President Izumi Kawanishi told a news conference in New York on Thursday. 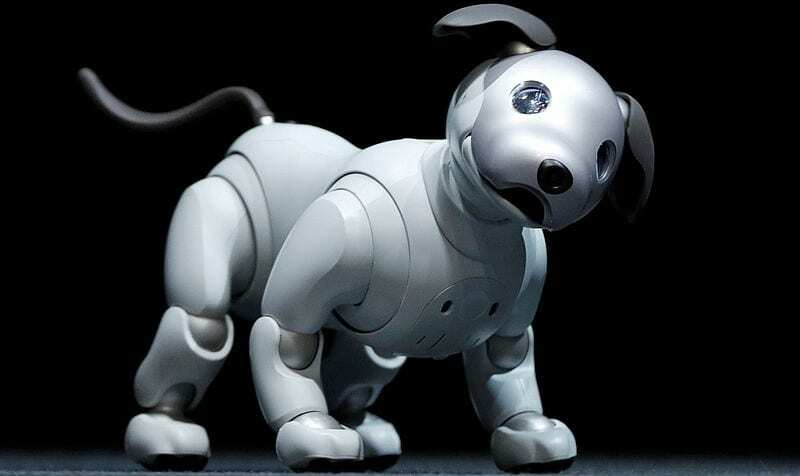 The new version, which is the sixth-generation puppy from Sony pairs “cutting-edge robotics” with a new, cloud-connected artificial intelligence (AI) engine and advanced image sensors, giving aibo the ability to learn and recognize faces. This will enable aibo to develop its own unique personality as time passes by. In other words, no two robot pups will grow up to be exactly the same, as its development will be influenced by the approach of its owners. “Each owner’s approach to raising their aibo shapes its personality, behavior and knowledge, creating a unique environment for growth. In fact, aibo is able to learn new tricks through owners’ interactions, experiences with changing seasons and different events. Not content to sit and wait to be beckoned, aibo will actively seek out its owners and can recognize their faces,” Sony says. Also, the powerful on-board computer and advanced image sensors makes aibo smarter and more lifelike. The cloud-connected AI engine enables it to recognize its owner’s face, detect smiles and words of praise, and learn new tricks over a period of time. It can also detect words of praise and smiles, as well as react to being petted or scratched on the head. Using a Wi-Fi connection, aibo uploads all of its day-to-day experiences to the cloud, forming a memory database that enables its unique personality to grow and evolve over time. “aibo keeps on growing and changing, constantly updating its data in the cloud,” Sony explained. “Over time, your approach to nurturing aibo will gradually shape its personality – it could be a doting partner, a wild, fun-loving companion, or anywhere in between. It’ll even learn new tricks through interactions with other aibo, experiences with changing seasons and different events,’ the company added. Through aibo, Sony can showcase its existing technology. With the image sensing and recognition technology, already present in its televisions, cameras, and PlayStation Move, it enables aibo to better understand and remember its surroundings. Costing a whopping $2,899, Sony’s First Litter Edition will be a limited, all-in-one aibo bundle that includes the autonomous robot pup, a three-year AI Cloud Plan, an assortment of toys for the doggy to play with (such as a pink ball and an aibone), an individually numbered commemorative dog tag, paw pads and a charging station. Users can also take their aibo experience to the next level with the “My aibo” app. Sony says that aibo First Litter Edition will be available for purchase in September 2018 with delivery in time for the holidays. The company is exhibiting the aibo at Sony Square NYC from August 24th to October 14th. The exhibition is open to the public where they can go and experience aibo before it goes on sale next month.